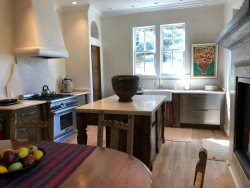 Classic, quintessential adobe in the heart of the historic district in a private, quiet compound. This intimate and charming pied-a-terre is across the street from the popular Downtown Subscription and a block from historic Canyon Road. You can also stroll to the Plaza to enjoy the museums, galleries, restaurants and shops from this location as well. 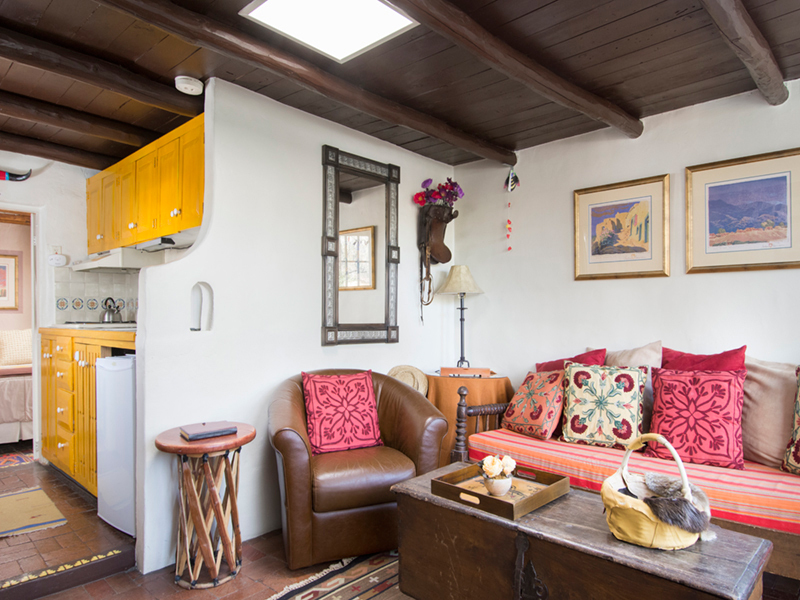 This one bedroom property has a good size living area with classic kiva fireplace, brick floors, vigas and a walled in private patio overlooking the acequia (no wall). There is a dining table for two adjacent to the kitchenette. 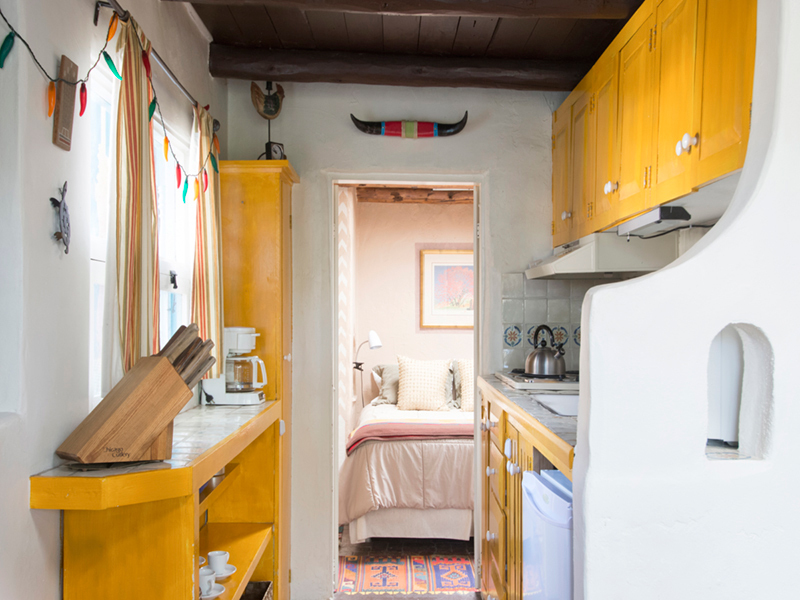 The kitchen is equipped with under-the-counter ‘fridge, electric cooktop and microwave. There is no oven or dishwasher. 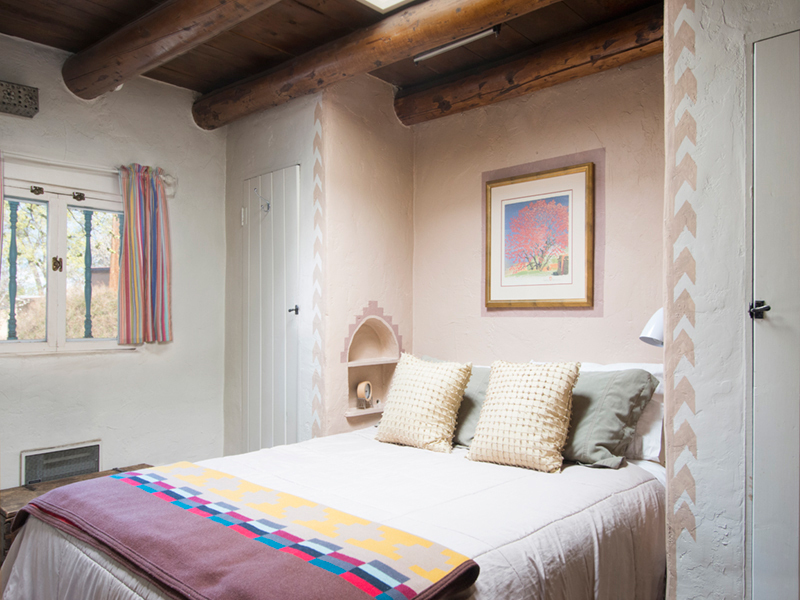 The bedroom has a queen size bed and bath with Mexican tile and walk-in shower. A flat screen Apple TV is provided in the bedroom (no cable). The patio is perfect to sit and relax under the giant cottonwood tree and enjoy a BBQ at the outdoor table. This property does not allow smokers but a small pet is welcome. For other properties near Canyon Road click here!